We are immensely excited to announce that on Wednesday 19 September, Jackson Jackson & Sons won SME of the Year 2018 “Highly Commended” at the National Apprentice Regional Awards in Manchester. 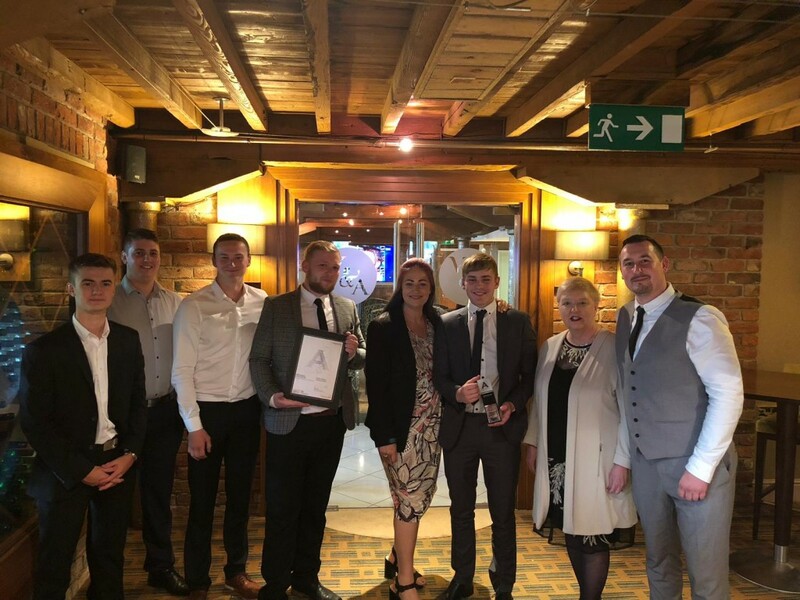 We are very proud of all of our apprentices, and five of them who attended the awards can be seen above with our Finance Director, Helen Senior (holding trophy), HSEQ and Training Manager, Bev Sexton, and Project Manager, Dan Williams. We would also like to take this opportunity to congratulate Rochdale Council for winning two awards, and to thank The Skills Company at Trafford Park for the outstanding training that they undertake with our apprentices. Here at Jackson Jackson, we believe that our employees are the future, and so we take every care to provide and maintain their training and supervision. Visit our Careers and Opportunities page to find out more about our training and apprenticeship opportunities.